So, did you have a go at making the crusty white loaf? You can find the recipe for it HERE. As you will probably guessed, baking bread is one of my absolute favourite things to do. 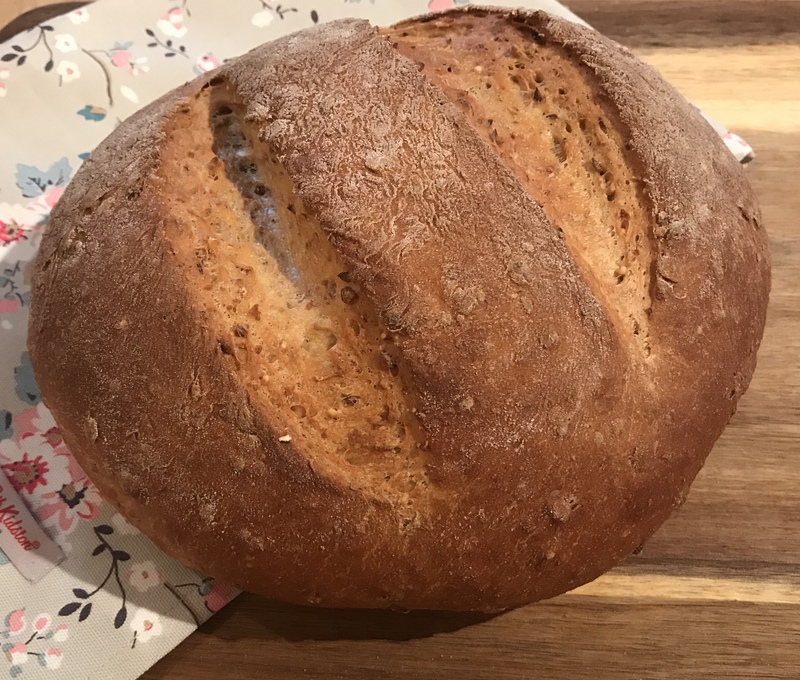 It always amazes me that if you put flour, yeast, water and a little bit of salt into a bowl, mix it a bit and leave it alone for a while, out pops a loaf of bread. This recipe uses my favourite flour. 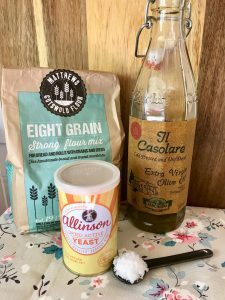 Eight Grain Strong Flour Mix from Matthews Cotswold Flour. 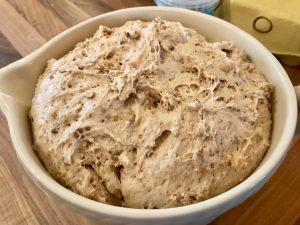 It gives a amazingly nutty flavour to the bread. Toasted and spread with butter, you can’t beat it. It’s delicious. It’s easy to make too. The recipe comes on the back of the flour bag so why not give it a go. And it’s that simple. If you don’t have a mixer with a dough hook, do it the old fashioned way and give it a good old kneading. It’s a great workout and totally satisfying. You also don’t have to use olive oil. Generally don’t like olive oil all that much, I find the taste too strong so instead I use 25g of butter. I prefer the taste and the bread is just as delicious. I used olive oil this time because I didn’t want to run out of butter before the snow melted and I could get to the shops to stock up. 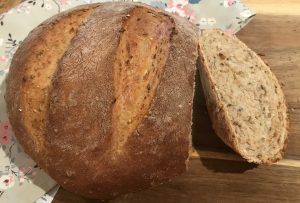 If you prefer a nice crusty white loaf, you can find the recipe for that HERE.